Costa Blanca webcam or Costa Blanca web cam as many people spell it, is simply a digital camera directly connected and linked to a computer which in turn is connected to the Internet. Some people also refer to these web camera as web cam Costa Blanca cams. These Costa Blanca webcams and Costa Blanca web cameras set up in the many towns of the Costa Blanca in Spain are constantly on and transmitting and streaming live video, pictures and images of the Costa Blanca that you can see from your computer wherever you are in the world. Costa Blanca travel and weather webcams are very popular as the Costa Blanca is a huge tourist destination in Europe due to it’s location by the Mediterranean sea and it’s good weather. Some Costa Blanca webcams transmit live up-to-date streaming images of the Costa Blanca and other Costa Blanca webcam show views and images of Costa Blanca from earlier on in the day. 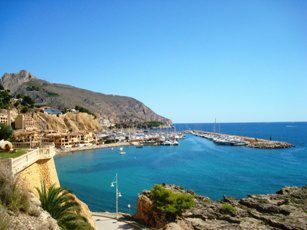 Below we have a list of available Costa Blanca webcams. Just click on the links to see live webcams of Costa Blanca. The Costa Blanca webcams below range from former fishing villages such as Altea to huge cities with high rise tower blocks such as Benidorm. If you are interested in webcam Costa Blanca and web cam of Costa Blanca towns and cities then we expect you may be interested in our many other pages devoted to information on Costa Blanca – in particular you may be interested in our page on the weather for Costa Blanca, as well as our many Costa Blanca accommodation pages giving you help with hotels, renting apartments and villas. Costa Blanca webcams are great for people who have never been to Costa Blanca and who want to see what places on the Costa Blanca look like. Most of the tourist destinations of the Costa Blanca are on the coast but consider also going inland and discovering Spain. Inland Costa Blanca is mountainous and fertile with fields full of oranges and lemons and quaint villages which seem to have changed little from a hundred years ago.